Rethinking Faith and Church: The Snakes that Charmed the Church? The Snakes that Charmed the Church? Church history is full of strange and bizarre things that have been done in the name of Christianity. 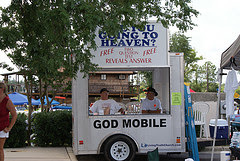 In our generation the antics of the Westboro Baptist Church comes to mind, as does the recent "end of the world" fiasco by now disgraced pastor, Harold Camping. If we want to see some really weird stuff done in the name of religion, we never need to look too far. If we go back a few years, we come to a time in which a previous generation's headlines included such things as the Jim Jones and Charles Manson tragedies. 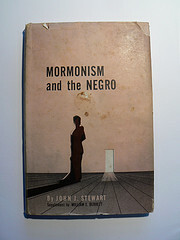 Even Mormonism has had its share of bizarre racist teachings, that perhaps many today aren't even aware of, or have simply chosen to forget. In fact, if our quest was to mention weird religious stuff, we would quickly find the task much bigger than we perhaps at first figured on. But you get the point; weird stuff happens all the time in the name of religion. In this 2011 photo Pastor Mack Wolford, a devotee of the Pentecostal "Signs Following" tradition, handles a rattlesnake during a service at the Church of the Lord Jesus in Jolo, W.Va. 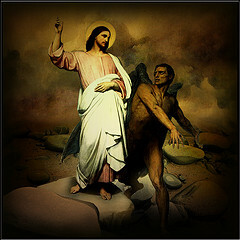 Rooted in Appalachian folk practices and the King James Bible's Book of Mark, the "Signs Following" tradition encourages believers to handle deadly snakes, drink poison and speak in tongues as a testament to their faith. Wolford died Sunday after being bitten on the thigh by a timber rattler during an outdoor service. He was 44. I must say, the first thing I thought of when I read that, well, let's just say it wasn't very edifying, and is probably best not repeated here. But really? Snake charming as a central part of worship services? Am I missing something here? I looked online and found the fuller story here. OK, it's not really "snake charming," although there are a couple similarities. 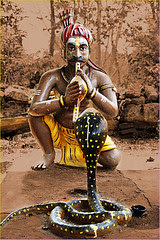 Snake charming, which pretends to hypnotize the snake by the playing of a flute-like instrument, is largely a con-job that preyed on the less educated masses of yesteryear. Today, partly due to stricter government regulations in places like India, and better educated masses, the practice of snake charming has all but died out. What are the similarities between snake charmers and this bizarre story out of West Virginia? In my way of thinking there are at least two. First, there is the obvious. According to Wikipedia, "a typical performance may also include the handling of snakes or performing other dangerous acts." Certainly that is exactly what's happening in this particular "Signs Following" church. The second similarity, in my way of thinking, is related to the hypnotism part. Please forgive me if this sounds critical, but in watching the video below, even I felt almost hypnotized. From the handling of the snakes to the music to the constant movement and dance, taken together I couldn't help but think of the pseudo-hypnotic trance of the snake charmer's snake. I was also reminded of what a missionary friend of mine once said about some of the strange blends of Roman Catholicism and Voodoo he encountered while working in Haiti. There may be elements of orthodox worship present, but there is also a bunch of other weird stuff there too. However, this goes beyond the addition of weird stuff to the worship service. At issue is the belief that there is biblical justification for snake handling in the worship service. At issue is the question of proper hermeneutics. At issue is the question of whether or not the Bible was properly interpreted. At issue is the question of whether or not Mark 16:18, which they quote, means that God would have us to deliberately drink poison and play with serpents. I have a couple problems with this. First, the section where this verse is found also contains this in the footnotes: "Some of the earliest manuscripts do not include 16: 9-20." What does that mean? It means that the text in question, while found in some early manuscripts, isn't found in all of the earliest manuscripts. At the very least, it suggests that these verses may have been added at a later time. If that is so, then in my books, that becomes potentially problematic. Some ancient manuscripts of Mark's Gospel contain these verses and others do not, which presents a puzzle for scholars who specialize in the history of such manuscripts. This longer ending is missing from various old and reliable Greek manuscripts (esp. Sinaiticus and Vaticanus), as well as numerous early Latin, Syriac, Armenian, and Georgian manuscripts. Early church fathers (eg., Origen and Clement of Alexandria) did not appear to know of these verses. Eusebius and Jerome state that this section is missing in most manuscripts available at their time. And some manuscripts that contain vv. 9-20 indicate that older manuscripts lack the section. On the other hand, some early and many later manuscripts (such as the manuscripts known as A, C, and D) contain vv. 9-20, and many church fathers (such as Irenaeus) evidently knew of these verses. As for these verses themselves, they contain various Greek words and expressions uncommon to Mark, and there are stylistic differences as well. Many think this shows vv. 9-20 to be a later addition. In summary, vv. 9-20 should be read with caution. Can we trust such verses as truth when their source is in question? Maybe we can. However, in the end, I suppose each of us needs to decide that for himself. The point is, though, should we not be careful with such verses, and especially so, when our very lives may depend upon it? Should it not be "read with caution?" The other issue I have with the way this group interprets these verses has to do with putting the Lord God to the test. Certainly God can heal if He so chooses to do. I have no problem with that. But to put ones self directly in harm's way just to prove your faith that God will heal, well, sorry, but I cannot go there. Yes, God can heal us if we get run over by a truck while playing soccer on the freeway, but that doesn't mean that we should play on the freeway. Have we done that? Are we guilty of putting the Lord our God to the test? I wonder sometimes. I do feel sorry for the families involved that they lost their pastor and loved one in this way. I wish no ill on anyone, but the way I discern the handling of poisonous snakes, and the deliberate drinking of poison, well, it sure looks like putting "the Lord your God to the test." Or is it just me? However, lest you or I get too smug with ourselves looking at that speck in our brother's eye, perhaps we should first check to see that there are no logs in our own eyes (Matthew 7:3-5). Am I perfect in my walk with the Lord? Not in a long shot! What weird stuff have you and I added to our faith walk? Hmm, I wonder. Strange, isn't it, how we often see each other's faults better than we see our own? Still, as the Apostle Paul says in Ephesians 5:10, "try to discern what is pleasing to the Lord," and ultimately, that is all that I want to do; I want to discern what is pleasing to the Lord and walk in that. The notes in the ESV Study Bible about Mark 16:9-20 are rather inaccurate and misleading. I recommend consulting other resources that do not simply attempt to restate or simplify what Metzger wrote, until the ESV notes are improved. As a rule, I don't often look at study Bible's at all, precisely because of all the notes. Usually I find that they just bog one down too much. My favourite Bibles have no notes at all ... other than the ones I scratched in myself ;) However the notes in this passage I did find interesting. I would be curious, though, as to exactly what you find "inaccurate and misleading" about them. Thanks for the comment, James. Peace. I'll try to sum this up but it will take up more than one comment-entry. The ESV Study Bible's note (by Hans Bayer??) about Mark 16:9-20 does not give precise numbers when it would be easy to do so. The note refers to “some” and “others” so that readers will not perceive that only two ancient Greek copies of Mark stop at 16:8, and if one considers all evidence up to the year 700, only five extant manuscripts in any language do so. The ESV says that verses 9-20 are absent from “various old and reliable Greek manuscripts (esp. Sinaiticus and Vaticanus)” but that is about as honest as saying, “Various rooms in the house, such as the kitchen and the bathroom, are empty,” when the kitchen and bathroom are the *only* empty rooms – in a house with 1,700 rooms. The ESV's note also says that verses 9-20 are missing from “numerous early Latin, Syriac, Armenian and Georgian manuscripts.” If damaged manuscripts of Mark 16 are removed from the equation, then there is only one Latin manuscript of Mark 16 (out of thousands) that does not contain verses 9-20. There is only one Syriac manuscript in which the text of Mark 16 stops at verse 8. The Armenian and Georgian manuscripts to which the note refers are medieval; in addition, the note makes it appear as if these two versions represent two independent lines of evidence, although the Old Georgian version was translated from Armenian. The ESV also says, “Early church fathers (e.g., Origen and Clement of Alexandria) did not appear to know of these verses.” Clement does not quote from 12 chapters of Mark, so his non-use of 12 verses cannot seriously be used as evidence of their presence or absence in his MSS. Likewise Origen does not use segments of Mark consisting of 54, 28, 41, 39, 46, and 63 consecutive verses; his non-use of a 12-verse passage does not tell us about his MSS any more than his silence about these much longer passages says anything. All this shows is that Origen did not quote from Mark very much. The ESV says, “Eusebius and Jerome state that this section is missing in most manuscripts available at their time,” but the evidence from Eusebius is not so simple at all, and the statement that the ESV note-writer has attributed to Jerome appears in part of Jerome’s Epistle 120 (To Hedibia) in which Jerome embedded a loose abridged Latin translation of part of Eusebius’ earlier statement; in other words, the ESV’s note-writer has distorted Eusebius’ statement, and misrepresented Jerome’s repetition of Eusebius’ material as if it is an independent statement from Jerome. The ESV also says that “Some manuscripts that contain vv. 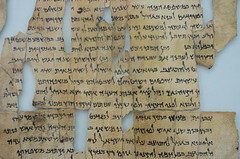 9-20 indicate that older manuscripts lack the section.” This refers primarily to a group of 14 manuscripts that have notes that say things that mean, “Some copies stop at verse 8, and Eusebius’ cross-reference system for the Gospels does not include verses 9-20, but many copies contain verses 9-20,” or, “Some copies stop at verse 8 but the ancient copies have the following verses.” The ESV only shares part of the evidence, and readers of the ESV’s note get a false impression not regarding the low quantity of manuscripts to which it refers, but also regarding the content of the notes. The ESV correctly mentions that Irenaeus evidently knew of verses 9-20, but does not point out that Irenaeus’ specific quotation of Mark 16:19 was written around the year 184; this should be compared to the production-date of the earliest manuscript that omits verses 9-20, Codex Vaticanus, around the year 325. To sum up: the ESV’s note is extremely unbalanced, inaccurate, and misleading. If one were to design a note to give readers a misleading picture of what the evidence implies, it would look like the note in the ESV. What can I say? Ask and ye shall receive? I asked, and I certainly received an answer ... and then some. And I mean that with all the utmost respect and gratitude. You have enlightened my understanding significantly on this subject, and for that I am grateful and stand corrected. Thank you for taking the time to respond. It really is appreciated.